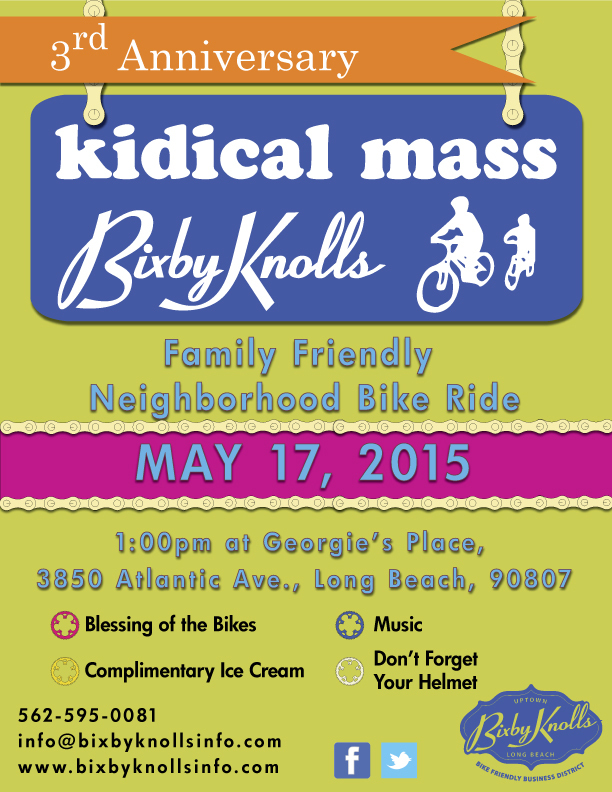 This Sunday marks the Third Anniversary Celebration for Kidical Mass Bixby Knolls, featuring the annual Blessing of the Bikes by Pastor Danny Bradfield. 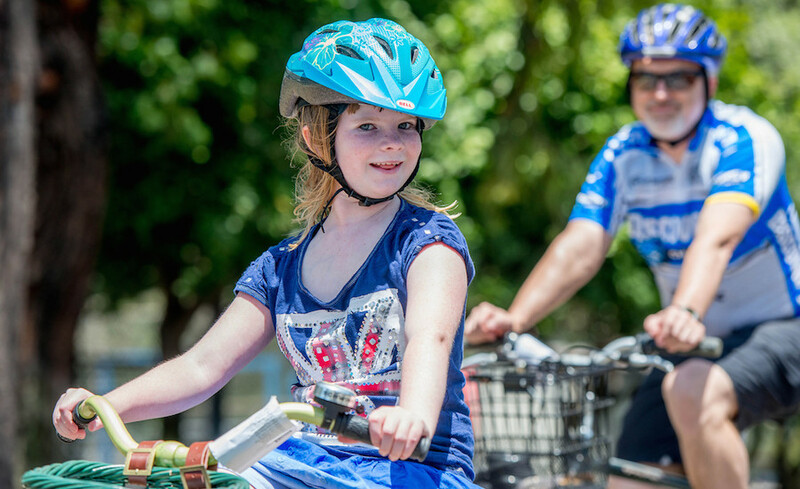 The public, and especially the neighborhood, is invited to celebrate this family-friendly outdoor event that has encouraged more residents to step outside and enjoy the city by bike. The ride will start at 1PM at Georgie’s Place. The Bixby Knolls Business Improvement Association (BKBIA) joined the national Kidical Mass movement three years ago to assist the City of Long Beach’s bicycle agenda and to turn Bixby Knolls into a more “bike friendly business district.” The monthly rides average 4.5 miles and roll through Bixby Knolls and the Cal Heights, Los Cerritos and Virginia neighborhoods. The enthusiastic group has also visited Rancho Los Cerritos and the L.A. River Trail. According to Cohn, the number of participants ranges from 50 to 70 each month. “At first our thought was to push it to get 500 each month and really make a big statement but after we managed a group of 300 parents and kids with our small staff we knew that safety had to be the number one priority,” he said. Some months, the ride takes on themes such as Ugly Sweater Ride, Bike Messenger Ride, Zombie Ride and Canned Food Ride. According to the release, every August the “Iron Kid Award” is presented to the young cyclist who has most improved their skills throughout the year. Cohn said he has seen many of the riders grow tremendously since they first started attending Kidical Mass. “It’s been fun to see some of the kids riding in the bike trailers by their parents to riding with training wheels, to now being independent and riding on their own,” Cohn said. As for as the future of Kidical Mass is concerned, the plan is to continue the effort while adding more adventures to the route. The BKBIA is also promoting two events alongside the program to promote an active and healthy lifestyle. A new walking club and running club, GRVL Runners, as well as a new Instagram account (@getoutside90807) to tie everything together. Georgie’s Place is located at 3850 Atlantic Avenue and will provide complimentary ice cream for all participants. Attendees can look forward to receiving a few extra treats in celebration of the anniversary, as well.